If you want to achieve your goals in life like for example; a car, house, business like everyone's dream to have when we reach the age between 20's to 3o's. We have to work for it hard! and we all know saving money is very difficult, besides that fact that there is so many temptations along the way but because there's always some unplanned things will happen when we least expect it. 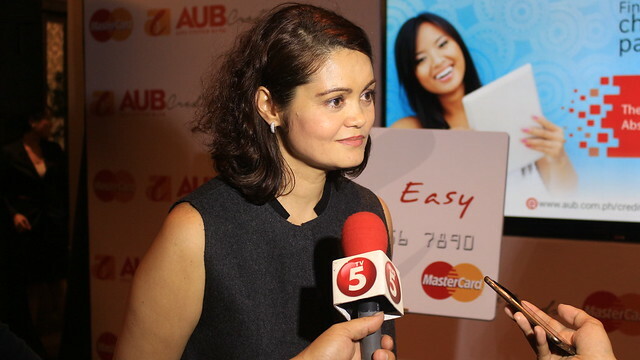 That's why it's better to invest in a bank that has game-changing features that afford cardholders personalized flexibility, an industry first. 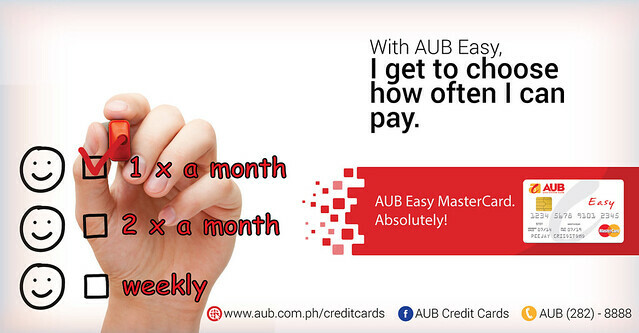 AUB Easy MasterCard allows cardholders to choose the mode of credit card payment, in particular, how much to pay, how often to pay, and even when to pay. Cardholders can choose from affordable fixed monthly, semi-monthly, and weekly payments where the amount due is the same every payment due date regardless of the total transaction within the cut-off date. 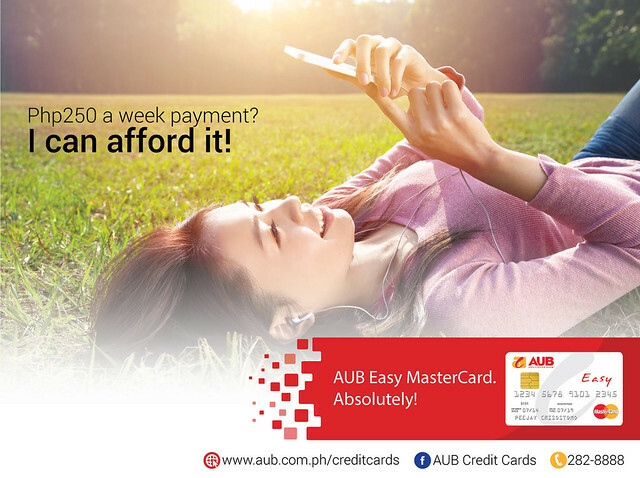 AUB Easy MasterCard is also fully loaded and comes with an exciting Rewards program, an electronic statement, and an "All-Ur-Bills" feature that lets cardholders charge utility bills to the card.